The collection at this museum was built largely from donation by the Jewish immigrants of Belgium and the Jewish diaspora. This led to a hoard of 750 items of religious art, 1250 paintings, 20000 photographs, 5000 posters, a music collection, 25000 books and 3 million documents. This huge range allows the museum to periodically organise highly engaging thematic special exhibitions. The permanent exhibition of the museum explores universal Jewish culture, rituals, life stages, and community via interactive stations, educational games and a reading area. Check out the museum shop. Guided tours are for groups of 15 max. EUR 3 for reduced price categories. Guided tours: € 60 ( € 70 on Sunday). Free fo kids under 12 and on the first Sunday of the month. Special exhibitions have their own prices. May open at night by appointment. 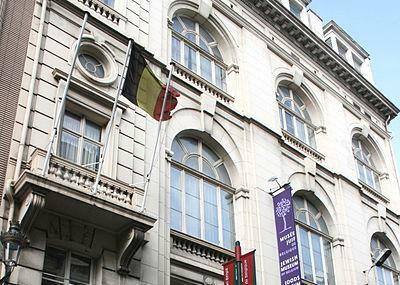 Beautiful museum with fascinating exhibits sharing Belgian Jewish culture. Also some interesting art pieces. While we were there there was a special exhibit of photography that was excellent, so I expect the usually have interesting special exhibits. Staff was very nice and helpful. Lots of art. Amy Winehouse exhibit wasn’t there when I visited, I would have liked that exhibit.